Did you know dental health is one the often overlooked aspects of most people's healthcare? This is probably why, as of 2015, 30 percent of the American population reported having fair or poor dental health. If you put off getting your teeth checked regularly, you could end up damaging them irreparably. And when that's the case, you'll need to seek out dental implants in Plano, TX. Here are the four things you need to know about the Texas dental implant industry. Dental implants might sound like they're created from a simple procedure, but they require some fairly intense office visits. Instead of something that just pops in and out like dentures, implants are strong, durable, and permanently attached. 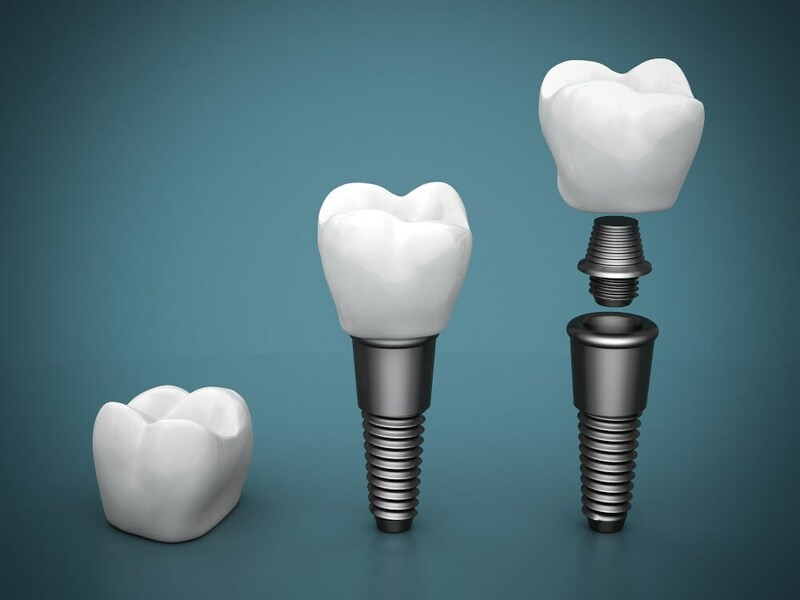 Dental implants are created by placing a strong titanium screw into the jaw. That screw has a hollow threaded insert where a screw can be placed into the embedded screw. A cap or a crown is created and then it's screwed into the screw that's embedded into the jaw. Dental specialists take an impression of the space where your tooth would be located and create a cap or a crown from this impression. The entire tooth is never truly "implanted" into the jaw. The post is implanted to replace the root of the tooth, while a crown or a cap is what's placed on top of that. People get implants for all kinds of reasons but the most common one is that a tooth has been lost. Since missing teeth can cause other issues while chewing or eating, it's important to get them fixed as soon as possible. If you have gaps or missing teeth, implants can help. Gaps can cause things like a lack of confidence for otherwise forward and confident people. People will become uncomfortable and afraid to smile. Rather than pay the social costs of having to deal with missing teeth, it's much more worthwhile to replace the tooth. If your dental specialist in Plano doesn't warn you of the negative impacts of getting a dental implant, you're probably not dealing with a competent professional. The fact of the matter is that your body might entirely reject the implant. While it's rare, it can happen. In most cases, bodies don't reject the implant at all. Where there is a rejection, it's often due to the body's allergic reaction to the titanium part of the implant. This is often unexpected but should be checked before any part of the procedure begins. Another reason an implant can be rejected is that there was a failure to properly take care of your mouth after surgery. Just because regular teeth rot and decay because of their makeup doesn't mean that replacements can't rot. In fact, you can still get gum disease or deal with decay around the tooth. Take care of your teeth and you won't have to worry about this. If you keep your dental health in order and take care of everything properly, no one will notice you have an implant. With the help of the latest technology, the color the rest of your teeth will all match. In the best cases, the only way to tell if someone has an implant is if you scanned them! Once you get a dental implant, you won't have to worry about much more than keeping that tooth clean for the next 40 years. If you take good care of it, brushing and flossing regularly, you'll be able to go about your life without worrying about it at all. Your specialist might make recommendations at a checkup so that you can maintain the health of the tooth. Other than that, you'll be able to keep the implant for decades to come. Unless your body reacts negatively to the implant, there is no cause to worry. If your health and hygiene remain in perfect condition, a tooth implant will last the rest of your lifetime. There is an extremely low risk of your procedure failing but it's statistically insignificant. If you are in good health, there's a 95% chance that your implant will go smoothly. Adhere to your doctor or dental specialist's orders following the procedure. When searching for the right doctor for your procedure, check what kind of training they've completed. Along with their academic degree, they need to have other dental certifications. Oral surgeons can't operate without proving they're competent and that they've been examined by representatives of the licensing board. While some specialists will take just a short course, competent oral surgeons will get more rigorous training. Rather than going for a quick course to just get things done, you should look for an oral surgeon who took the time to learn about implantology. You can have a chat with the specialist to find out how many implant procedures they've completed. After you've found out how experienced they are, your mind will be at ease. Just because you can easily find someone to handle your dental implants in Plano, TX, doesn't mean that you've found the right one. What you really need is to make sure that you know which questions to ask so that you can feel comfortable when you meet with them. If you want to see what people are saying about services like what we offer, check out our reviews page!